Now with the dog warden who is attempting to contact owner...The dog will stay with the warden for 7 days and then be taken to battersea. Have since passed on finders number to owner. Hi Jayne, is the message below this for me? The owner does not have an e mail address. Have emailed owner with finders number. Spoke to owner who confirmed it was her dog. She will be contacting Dog Lost Mon a.m. Tried the potential owner again today but still on Voicemail. I have left a message for the potential owner with regard to the above dog. Her dog went missing from the garden on 18th Jan. 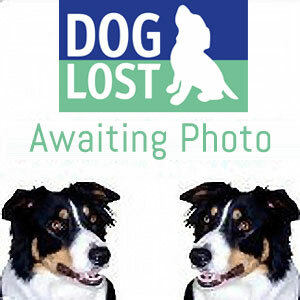 He can be viewed on the Animal Search uk site No: ALP364367.